Every family understand their child the best. 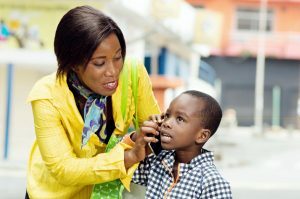 Your decision to buy a cell phone for your special needs child will be contingent on your child’s capabilities and your competency to monitor and restrict phone usage. It is just as vital that you aid your child with correct social etiquette and their physical safety. You don’t want your kid calling friends in the middle of the night any more than you want them giving out their address to people they communicate with online. And this is as simple as setting up controls on the phone and creating a PIN number so the controls can’t be changed by no one but you. YouTube can be unsuitable and addictive. Contemplate if you should remove the app. The same goes for other inappropriate apps. Several pre-loaded apps may require removal (Facebook, Twitter, Instagram, etc.). 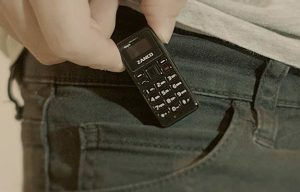 If you decide to remove them, do it before giving your child the cell. Many smart phones have a location element that allows others to see where you are. This can be good for children with special needs. The advantages of having location reporting is that you will know where your kid is at all times. The apprehension is that others can possibly see your kid’s location too. If you don’t want to use location reporting, disable it on your kid’s smartphone. By default, you must use a password to buy apps on the app store. Make sure your child doesn’t know the password and you should have no problem with your kid downloading apps. Teaching the functionality of a phone and correct social etiquette when using it is difficult. Try to be around when your child is using it. Around 120 million folks in the US currently still use landlines. Nonetheless, that number is quickly going down. In ‘06, only 10.5% of houses didn’t have a landline. 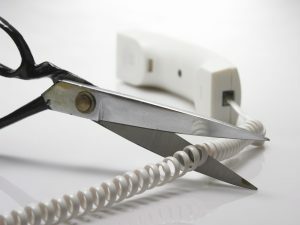 Currently, 35 to 48% of households don’t have a landline. That signifies that the number of folks who have landlines has diminished by over 55% within the last 10 years. Landlines were needed before cell phones became widespread. Today, cell phones have taken over as the main way to communicate. With more folks using cell phone, it’s just a matter of time before shortage of demand eliminates landlines from the market. Cell phones are still mainly communication devices, but they offer numerous methods of communication. You can talk with folks thru email, social media, and text. You can surf the web. You can use your cell to control everything from your security alarm system to your heating/cooling unit. Not to mention the thousands of games. These are the reasons having a landline may feel more like a visual choice than a practical one. When you’re currently paying a cell phone bill every month, why pay a landline too? 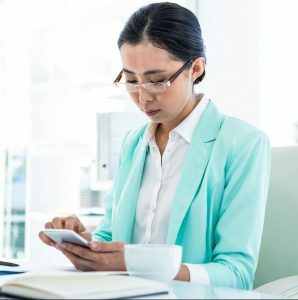 Not only can you talk on your cell, but you can also use Google Hangouts, FaceTime, and Skype to talk to someone face to face anywhere on earth. Most folks today who have house phones have them as part of a bundle plan. The price of having a landline is increasing in many areas, another reason that numerous folks decide to do away with one. Microchips are being implanted in pets by animal shelters, breeders, and vets for identification purposes. Microchips are also being implanted by folks who have taken a microchipping course. 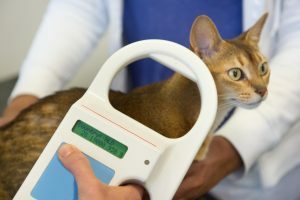 All kinds of animals are being microchipped (ferrets, fish, elephants, alpacas, turtles, horses, lab animals, birds, llamas, snakes, and zoo animals). But are microchips a dependable form of identification? And are there health risks linked with the chips? Microchip implants are promoted as a permanent and safe form of identification that lasts the animal’s lifetime. They are also marketed as a way to bring together stolen/lost pets with their owners, to seriously lessen the number of dogs and cats in shelters, to punish an identify the owners of perilous dogs, and to stop cruelty to animals and bad breeding practices. Motives used to sell and promote microchips may sound attractive. Before being tempted by meticulously created ads that are being used to not only persuade people to have their animals microchipped, but also to put into action obligatory animal chipping legislation, we should look the facts. Consumers are frequently told that implanting microchips is safe. So safe that a pharmaceutical giant stated that scientific studies indicate that microchip implants are completely painless, well tolerated by the animal and that there isn’t any risk of allergic reactions. The bigwig even said that European experience indicated that microchips are never refused by the body. Many microchipping advocates say the risk that your animal will get cancer from a microchip implant is nonexistent. Some even say that the microchip-cancer risk is an urban myth. But ask yourself how nonexistent the microchip-cancer risk is if it’s your dog or cat that gets cancer. Ask yourself why years of scientific data show that an object implanted in the body can initiate cancer, yet nay-sayers of the microchip-cancer risk claim that microchip implants cannot produce cancer. Here’s what you need to know to avoid a horrible experience when renting through Airbnb. If you use these tips as a guide, your rental will be that much more efficiently. Awful stories in the past have bred some real concerns about just how safe is Airbnb. Many stays are trouble-free. Since its began, the business has added protective measures and worked to make online profiles equal real-life identities, thinking that folks will act more conscientiously without a veil of secrecy. An online FAQ can satisfy most questions and concerns. 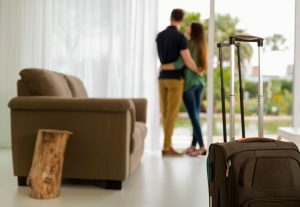 Seems apparent, but some people still don’t get the whole rental-sharing concept and want the sort of welcome and amenities you’d get at a hotel. (It doesn’t help that Airbnb rental-property varieties range from apartment to yachts.) Look at what’s included, as well as what isn’t. Airbnb makes a huge deal out of its community, which the site states assist in keeping dealings real. Making a real profile, being verified by adding personal info, and even receiving reviews from folks who have used the service can up your odds of booking a positive stay. The site’s many filters make it simple to taper down the type of property you’re looking for, regardless if it is a whole house, a sailboat, a place with a fully loaded kitchen, or a condo near a festival, it doesn’t matter. Utilizing filters can turn 45,000 listings into just a few and from there a comprehensive study of apartment photos can provide a level of detail that written details might omit. Does the room get natural sunlight? Is that balcony actually big enough to sit on? What is the real size of the shower? A close look can reduce your chance of disappointment from the beginning. Most folks spend a lot of their time with just a few apps. I’m no different. While I have more than 100 apps on my phone for little things, there are only around 15 apps that I frequently turn to. I think of these as my go-to apps that make my life more productive, enjoyable, and simpler. If you want to get the most out of your cell, may I suggest getting these important apps. For listening to as much music as you want, the way you want to. For restaurant suggestions and business reviews. For getting work done, and work together with clients or co-workers. For have a quick ride from point A to point B, regardless of where that could be. For getting around the city, driving guidelines and discovering places of interest. For news, stories, and entertainment to share with others. For following your finances, not to mention outgoing and incoming payments. For a superior, more efficient and organized email experience. For a highly exact view of the day’s weather. To stay in touch with friends and family, as well as sharing your own experiences too. A quiet, free game for commuting or downtime. For watching any type of trailer, show, or video clip. Travel is fabulous for the soul, but it can be a very muddled experience. You’ve got handbooks, tickets, car rental details, printed itineraries, hotel addresses scrawled on the back of envelopes, camera gear, backup batteries, and zillions of other things crammed in your cargo pants. Sleep Cycle is an app that collects info on your sleep patterns and then comes up with the correct time to wake you up. Free cell phone plans usually sound too good to be true. But if you’re not a serious cell phone user, you may find you’re paying too much for your cell plan every month. Wasting money on minutes, megabytes and texting you never use. 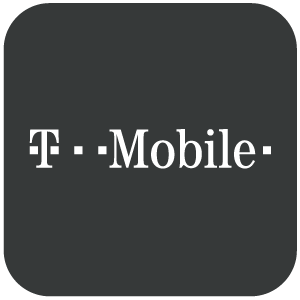 While there are numerous affordable options for cell phone service, you should take advantage of matching cell phone plans from every provider. There are many cell phone providers now providing free phone plans to qualified customers. And free means free. You get a certain number of minutes, texts, and data every month…for free. Of course, there are conditions. But if you’re not a real cell phone user and you don’t want to pay a cell phone bill every month, this might be what you’re looking for. You could also be eligible for the government phone subsidy program. Here are some facts about free government cell phones and the folks who own them. Over 11 million free government cell phones are in usage. The program started in ’99 with landline service. Since the 1st cell phone was provided in ’08, the program has swiftly increased. In over 35 states, DC and Puerto Rico, companies provide government cell phone service. The program has quickly grown since it started in TN in the middle of ’08. Coverage is available in all states now. You are eligible for a free government cell phone just by being on any type of government assistance, including food stamps, Medicaid, SSI, Section 8 housing, National School Lunch, etc. You don’t have to offer proof when you first get the phone. However, you have to prove your eligibility every year. It’s referred to as a “Obama Phone.” Calling this the “Obama Phone” is not correct. Contrary to belief, the 1st government free phone was offered while President Bush was in office not President Obama.